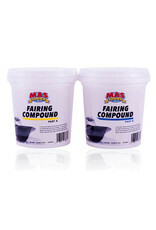 MAS Epoxies Fairing compound is one of our customers’ new favorite products. It is simple to mix because of its 1:1 ratio and color changing verification. This product was formulated with the end-user in mind. Instead of creating floating dust during sanding, we used a special mix of fillers that causes the dust to fall as you sand your boat to faired perfection. Blue and yellow components mix to a consistent green color so you know when you’ve properly mixed. 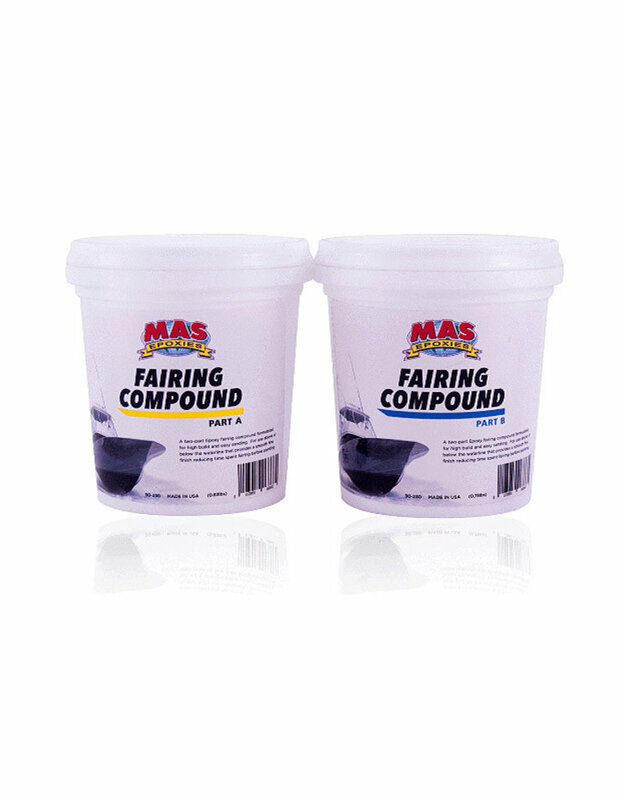 The Fairing Compound kit has a silky smooth texture, sag resistance and everything else you could want in an epoxy fairing compound. Since it is ready to sand in 6 hours (at 70 degrees F) you can complete a fairing project in one day. It is also great for filling voids, repairs and use as a barrier coating. Try some today!